DETROIT (Reuters) -- The UAW and two German labor groups have signed a letter of intent to jointly organize Volkswagen Group's U.S. assembly plant in Chattanooga, Tennessee, a top UAW official said. The latest move may be a step toward the UAW gaining bargaining rights to represent the hourly workers at VW's only U.S. plant, according to the letter, a copy of which was obtained by Reuters. Workers at the Tennessee plant voted against UAW representation earlier this year, as the union drew stiff opposition from the National Right to Work group. The "UAW goal (is) to obtain exclusive majority status and recognition of this by Volkswagen," according to the four-page letter, dated Sept. 9. The two labor groups are IG Metall, the powerful German union that represents VW workers in Germany, and the Volkswagen global works council, which has blue-collar and white-collar members from the company's plants worldwide. While the letter had been circulating since Sept. 9, the day before the Volkswagen global works council announced the renewed efforts to back the UAW at Chattanooga, it received its final signature on Friday. The letter was signed by Dennis Williams, president of the UAW, Gary Casteel, its secretary-treasurer, Bernd Osterloh, the chairman of the VW global works council, Frank Patta, its general secretary and Detlef Wetzel, the head of IG Metall. The UAW lost a vote to represent about 1,500 workers at the Chattanooga plant early this year, an effort that was opposed by a group called the National Right to Work. National Right to Work Vice President Patrick Semmens criticized the latest letter, calling it a "backroom deal" that negates the worker vote. "This document is a just a lot of doubletalk to paper over the fact that Detroit-based UAW officials are colluding with a German union and works council members to force VW Chattanooga team members under union control without a secret ballot vote," said Semmens in an emailed statement. 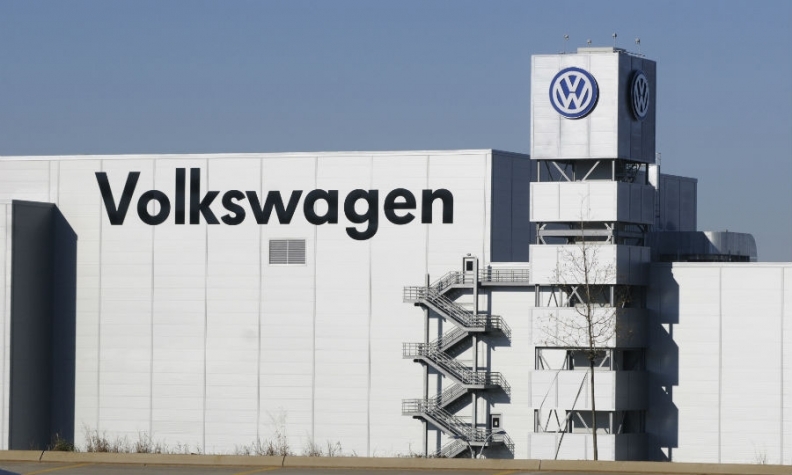 VW's Chattanooga plant is the company's only major factory without representation on the global works council. While the UAW wants to represent the plant's blue-collar workers, VW's top labor officials want to bring the Chattanooga plant into its global works council. But such a council cannot exist unless workers are also represented by a U.S. union, most labor experts say. The letter said the three parties would work on a joint communications plan. The union in July formed UAW Local 42 for the plant's workers, which will hold elections of officers soon. The agreement essentially reached on Sept. 9 and signed as a letter of intent on Sept. 26 is in part an answer to an attempt to form an anti-UAW union among VW Chattanooga workers, which in turn was created to counter the formation of Local 42. News of the signed letter of intent was reported Sunday in the Chattanooga Times Free Press. On Monday, Casteel told Reuters the UAW has signed support from more than half of the 1,500 current Chattanooga hourly paid workers. But he would not say specifically how many have signed cards saying they support the UAW. He also said that Local 42 officers will do most of the groundwork to get an exclusive bargaining unit, and that the process would be incremental. The plant plans to add up to 2,000 hourly workers in 2016.